Ponteland Online News: ROTARY "FOCUS ON THE CROCUS"
ROTARY "FOCUS ON THE CROCUS"
Pupils in the Gardening Club at Ponteland County First School planting 250 purple crocus bulbs with Master-in-Charge Philip Vincent. Also pictured are Raymond Tipping, President of Ponteland Rotary Club and Bob Crosby, Senior Vice-President. This is part of a nationwide Rotary Project to publicise steps being taken to eradicate Polio in the Third World. There are five and a half million purple crocus bulbs being planted nationwide during October with a headline publicity event in Trafalgar Square. This should produce a show of purple throughout the UK in February 2011 when Rotary's 'Thanks for Life' Campaign will reach its peak. 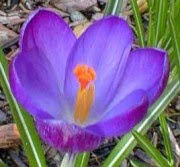 The 'Ruby Giant' crocus represents the coloured dye dabbed on children's little finger to indicate they have been immunised against Polio. 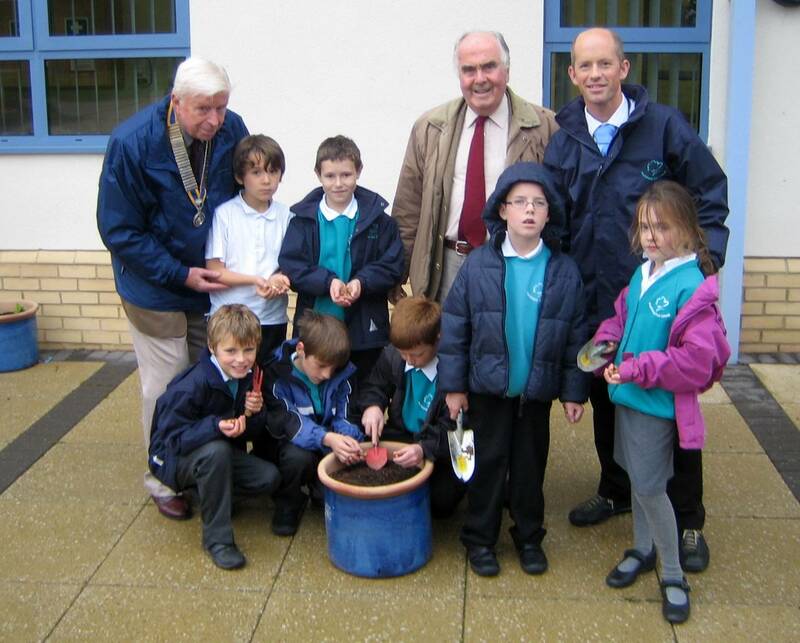 Some 4000 bulbs will be planted by Rotary in Ponteland at schools, in Ponteland Park and on Rotary Way.